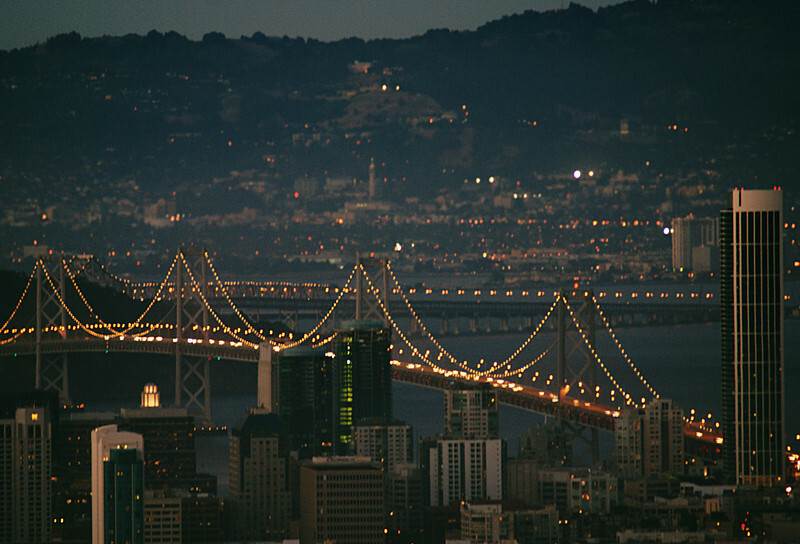 This photo was taken from the top of Twin Peaks in San Francisco in the early evening. The skyline is along the eastern shore of SF, the two bridge segments make up the bridge running across the SF bay (via Treasure Island). I believe the bulk of the buildings on the far shore are Berkeley, with the tower on campus centered in the shot.